With the amount of trailers that come out each week, it's nearly impossible for me to talk about every single trailer I want to highlight. The sheer volume of trailers make it hard to watch them all, let alone review and talk about them. I've been meaning to do something about it for awhile, but I've never known exactly what to do. But now I've finally come up with a good idea on how to handle this. 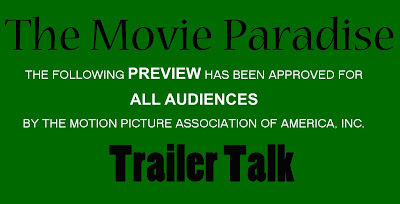 So, in this new weekly series, "Trailer Talk", I will take three new trailers to highlight and talk about. Normally I wouldn't have gotten to these if I were writing about them individually, in their own articles. But here I can go into full detail on them, and discuss them as thoroughly as I want to. Now, I will always do individual articles for some of the big trailers, like for Marvel, DC or Star Wars movies. But some of the smaller film tend to get lost in the shuffle, and now I have a chance to change that. 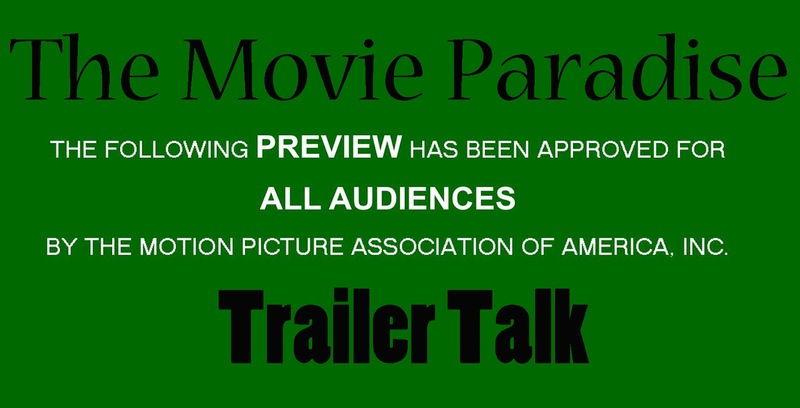 So tune into "Trailer Talk" every week to get full coverage on some of the smaller, lesser known films that you should be keeping your eyes out for! Alexander Payne's new film, Downsizing, was a movie I covered in our Fall Movie Preview (you can read that here), and that was back when all we had was a simple premise. It was described as a science fiction social satire, which I really liked the sound of, but I couldn't exactly picture how it would be in my head. However, after seeing this trailer, I can totally see what was going for Payne in meshing these genres together. I love movies that simply take an idea and then run with it, and see what would happen to the world if this one thing really happened. They generally are very freely creative and innovative movies, and I usually find those types of films to be utterly fascinating. And we get that here with Downsizing. What are the social, economic, and personal ramifications of shrinking part of the human population. This trailer hints to all of that, but doesn't get into any of the meat of it, which I loved. I don't want this entire movie to be spoiled in the trailer; I want to learn all of this when I watch the actual film. Overall, this trailer gave me a good taste of what Downsizing will be like, and I can't wait to see it. The first trailer for Red Sparrow caught me off guard, as I had not heard of the film before. It makes sense that it would debut now, however, since it stars Jennifer Lawrence, whose new movie mother! opens in theaters this weekend. It's directed by Francis Lawrence, who I'm not very familiar with as a director. I haven't seen The Hunger Games movies he directed, nor have I seen I Am Legend or Constantine. So far, he hasn't had an outstanding career, but there's nothing on his resume that necessarily makes me nervous for this movie. And I really did like the trailer. I loved the cinematography and its style. I really bought into the look and feel of the trailer. It comes across to me as a darker, more serious Atomic Blonde, which is a movie that I really enjoyed this summer. Plus, we haven't really seen Jennifer Lawrence in a role quite like this before. I think Red Sparrow has a lot of potential to be a great film, and I for one am looking forward to its March 2018 release. Back when I was doing my Fall Movie Preview, I stumbled upon a new Ridley Scott movie starring Mark Wahlberg, Michelle Williams, and Kevin Spacey, called All the Money in the World, and I had never heard of it before. I immediately assumed the studio was sweeping it under the rug, as I surely would have heard about a project like this coming out so soon with that level of talent in front of and behind the camera. I'm also no longer at the point where I can assume a new movie coming out that is directed by Ridley Scott will be good. Since he made Gladiator in 2000, the only movie of his I have truly liked was The Martian. That is close to twenty years that Scott has not put out a good film, in my opinion. So just because he has a new movie coming out doesn't mean that I'm immediately excited for it, which is probably why I was initially cynical towards the idea of this movie. However, after seeing this trailer, I am on board with All the Money in the World! This is the kind of thing I want to see Scott doing. It isn't some huge science fiction blockbuster; it's a smaller, more personable project, and I think that will make a world of difference in regards to its quality. And Kevin Spacey is entirely unrecognizable in this trailer. If they had not said it was Spacey, I never would have thought that it was him. We don't get a huge sample size of his performance in this trailer, but it's reasonable to assume that we could be having some discussions about a Best Supporting Actor nomination come Oscar season. What do you think? Which of the three was your favorite trailer? Which was your least favorite? Leave your thoughts in the comments section below.